Braind – branding laboratory has presented a design concept for a new flag of Armenia. To be clear – there are no plans by the Armenian authorities, nor any laws stipulating a change of the national flag and Braind has come up with this concept out of the blue. It is probably a simple marketing move for the company. However, the ideas suggested are rather interesting, so I decided to present them here. National flag of Armenia was approved on the 24th of August, 1990. Colors presented on the flag of Armenia are the colors of the final period of the Rubenidov dynasty (the kingdom of Cilicia). Rectangular banner consists of three equal horizontal strips: top – red, middle – blue and the bottom one is orange. Red symbolizes the Armenian highland, the Armenian people’s continued struggle for survival, maintenance of the Christian faith, Armenia’s independence and freedom. Blue symbolizes the will of the people of Armenia to live beneath peaceful skies. Orange symbolizes the creative talent and hard-working nature of the people of Armenia. The design suggestion by Braind agency, on the other hand, is to use the apricot color, which would symbolize the “hard working”Armenian people and purple, which was the color of the most powerful Armenian kingdom of the past and its rulers, the Artaxiad Dynasty. There are a number of flags of other countries that look a lot like the Armenian flag, such as the Colombian and Venezuelan flags. Hence, the change of a flag could be a good idea to differentiate. Additionally, the Armenian flag should clearly indicate the strong Christian heritage of our people. This can be achieved by placing a cross on the flag, as is the case with many European countries. In the case of the design concept by Braind, this is done with the use of two crosses, a white one, which divides the two main colors, and a purple one placed on the right side of the flag, on top of the white one. PS: Tell you what, I like the idea of changing the flag and I like the concept of the crosses, but not the proposed colors. What do you think? This entry was posted in Armenia, Society and tagged Armenia, Armenian, Artaxiad Dynasty, Coat of Arms, Flag, State Symbols by Observer. Bookmark the permalink. To hell with new flag concept. Thank you for the comment, Edward. Would you like to elaborate on that? I think the proposed flag is pretty ugly. The tri-color has quite a bit of history as it was used to represent the first Armenian Republic fron 1919-1921. And it is gorgeous. In any case, the Armenian government has more important things to worry about than replacing the current flag, so it’s good they’re not considering it. I feel that the new flags depict a colonizing European image of Armenia and differ too much from that of Middle Eastern flags, which all contain a collective unity among themselves. These flags are very individualistic, however. This was a good self promotion for the marketing company, they will be successful. Otherwise, this should not be taken seriously. Well, we know that the issue of the national anthem is still unresolved. There’s a government decisiion to change it, etc. etc. So it is not like the issue of state symbols is all decided and settled. 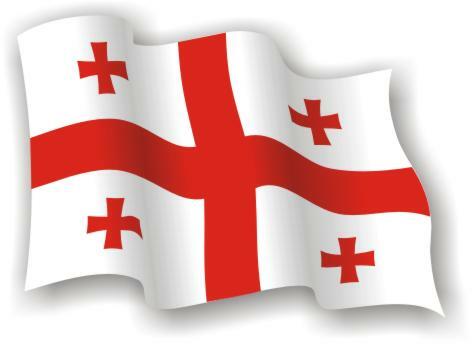 Well, the Georgians give high praise to St George so it is not a surprise that they use his flag as their own. We are a little bit different as far as saints and stuff like that is concerned. Personally, I prefer not to carry religion on my sleeve. One criticism of our tri-color is that it looks too much like some other flags. The Georgian flag looks like the flag of England. The Russian flag looks like a lot of other Eastern European flags. The more unique ones are flags with depictions of things like Canada, Lebanon, Japan or Cyprus. No on the change. We are not toppling despotism or separating from a colonizing union. We have been living in peace for 20 years as our own country and have had many an achievement under this flag. A change now would nix out the last 20 years. Furthermore, the colours are unappealing and the cross discriminates against the non-Christian Armenians around the world. We want a country that invites ALL her children to her bosom, not just those indoctrinated with a particular religion. Christianity may be the national religion, but even in Armenia it means little to the people who grew up in a Soviet regime devoid of understanding of its ideals. I don’t really understand how changing a flag discredits 20+ years. A flag is a representation of a country, not an item that validates it as such. I can appreciate the meaning behind the current flag, and while I see no benefit to changing the flag – aside from a very short-lived publicity push – I don’t think the flag is more than that, a flag. The world knows you by that flag, though. Who considers the old flags of different countries today? We are taught about the new ones, know what the people did under that new one. The old flag is history, forgotten in time. Now, it may only be a phenomenon that exists in the West, this I do not know, but it is a phenomenon that we cannot counter should we change a an established symbol of our country. Flag looks very depressing. If any change was to be made, how about including the coat of arms symbol? I would love to see a lion or an eagle somewhere there, like those from our coat of arms. Also, here’s one of Cilician flags for your consideration. Nice, eh? Khorovatzi [email protected] aveli yurahatuk klini. I love the flag of Cilicia. I love how the Kohar orchestra uses it in their performances to recreate the Cilicia Kingdom. I don’t know if you know or watch a show called Big Bang Theory, but they keep showing a flag very similar to ours. Is this a common symbol? If you are asking about the blue flag with the lion on it in the background, it’s the flag of their apartment. OK, how to embed the following img? I beleive we should have included the cross from day one in our historical tricolor flag as we were the first nation to adopt christianity. Shad siroun trosh e, hadgabes khatche, aravelabes dzayrerin gbtsvadz “Braind”ayin djoudjoulnere. greece has tons of agnostics but that flag has a cross. Should go back to using the flag used by Tigran the Great.